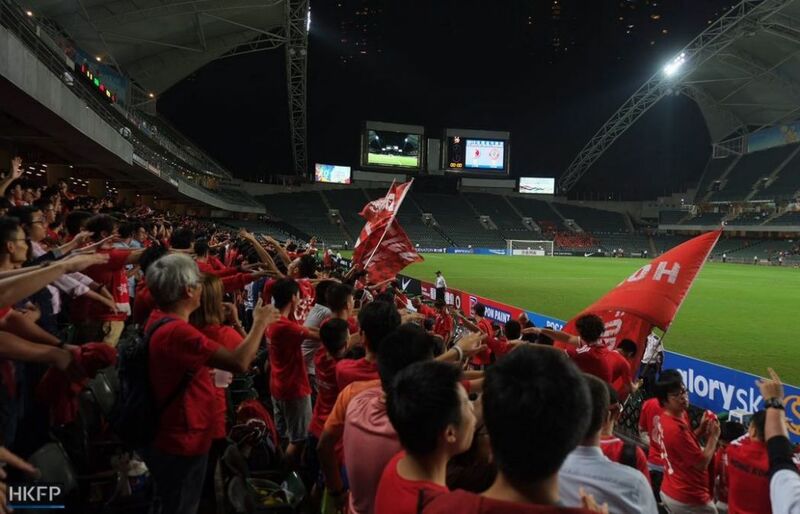 Defying repeated warnings and impending legislative action, Hong Kong football fans booed the Chinese national anthem yet again at an official Asian Cup qualifying match against Lebanon on Tuesday night. The game took place at the Hong Kong Stadium under a heavy police presence. It was the fourth consecutive home match in which fans jeered the anthem since the new season kicked off after the summer break. Jeers during the anthem have occurred repeatedly since the 2014 pro-democracy Occupy protests. Security guards on Tuesday raised their arms in an effort to block fans from taking photos and videos when the booing took place. Some Hong Kong spectators clapped for the Lebanese anthem. 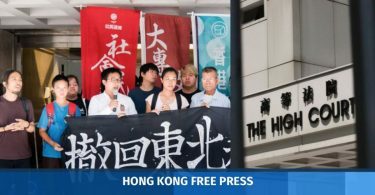 The events came as the Hong Kong government said it has begun the local legislative process for the upcoming national anthem law. China’s legislature seeks to insert the law into Annex III of the Basic Law, Hong Kong’s de facto constitution. The highest penalty for disrespecting March of the Volunteers in the mainland is three years in prison. 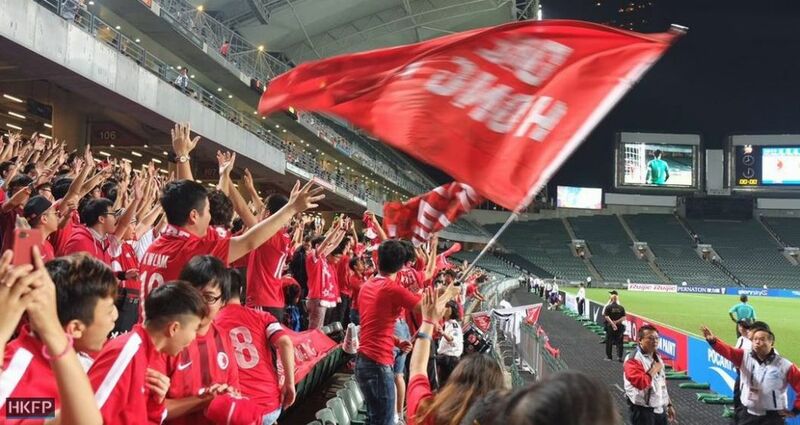 Chung San-ho, a fan who said he has been to countless Hong Kong home games, told HKFP that it was his right to boo the anthem:”If [China] doesn’t respect me, why should I respect you?” he said, as he cheered for the local side. Hong Kong Football Association (HKFA) Vice-Chairman Pui Kwan-kay said earlier on Tuesday that it will review whether it is necessary to assist the police in enforcing the law after it is enacted, including filming fans who booed the anthem and sending clips to law enforcement. Pui said he expected “some rebellious young fans” would continue booing the anthem on Tuesday, but he urged them not to, since the Asian Football Confederation (AFC) would send representatives to monitor the official match. “Last time we received a serious warning, I hope the boos will stop – respect the anthem and respect yourselves. If it happens again, there could be a harsh punishment, such as fines or matches behind closed doors,” he told Commercial Radio. Pui added that the HKFA and on-site security guards would strengthen security and the police would send an adequate number of officers. HKFA was fined twice by FIFA, the global football governing body, as a result of supporters apparently booing the anthem at two 2015 World Cup qualifying matches. It received fines of 5,000 and 10,000 Swiss francs respectively – a sum totalling HK$120,000. 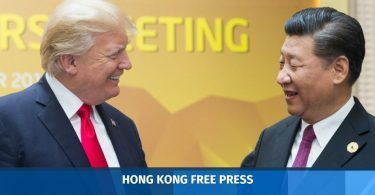 On Monday, former justice secretary and top Beijing adviser Elsie Leung said that the legislature can set a retroactive period for the national anthem law should there be a “large-scale breach.” But law scholars and democrats have said criminal laws in Hong Kong should not be applied retrospectively. Around 10,100 people attended Tuesday’s match. Towards the end, some fans threw paper cups at Lebanese players, with one hitting the Lebanese goalkeeper. In 2015, HKFA was fined for 5000 Swiss Francs (HK$39,356) by FIFA after fans threw a lemon tea paper cup at Qatari players during a World Cup qualifier match. Hong Kong lost 1-0 to Lebanon. In order to have any opportunity to proceed to the 2019 Asian Cup finals, the team must beat North Korea during the last match of the group stage in Pyongyang in March next year.